Talking about it is about to get a LOT easier! Our programs have been designed to encourage discussion, promote comfort, and have fun, all while learning about our bodies and the amazing things that they're capable of. 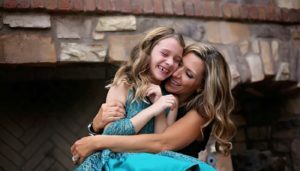 Jodi Kaye was born and raised in Arizona and is the mother of three daughters. She has been a Registered Nurse for almost twenty years. Jodi began teaching puberty education classes to help others contribute to the growth and education of their children and has been helping families to openly discuss puberty and adolescent stages since early 2013. You have the flexibility to schedule a date, time, and location that works best for your group’s schedule. Classes can be hosted in the privacy of your own home or another location of your choice. Once your class minimum has been met (10 parent/child couples), the host(ess) will receive 50% off the price of their tuition.